Monrovia – Today scores of women and sympathizers will take to the streets of Monrovia demanding justice for girls that were reportedly raped while in the custody of More Than Me (MTM), an American charity. 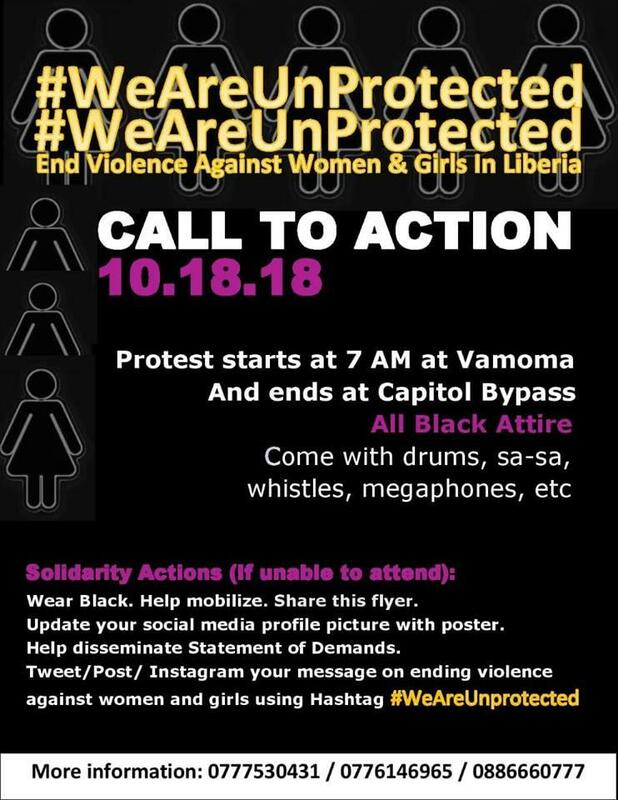 A notice posted on social media, urged all attending to be attired in black so as to portray that females are not protected. Many social media users are now using #WeAreUnProtected, #MoreThanRape, #MoreThanSad and #JusticeForOurGirls. Two of the call-to-action protest groups include the Liberia Feminist Forum (LFF), Concerned Liberians Against Sexual Violence. Currently there is a three-day international ‘Sheroes’ forum for the advancement of women’s participation in leadership ongoing in Monrovia. Former President Ellen Johnson Sirleaf, who is accused by some that she is the one who brought More Than Me proprietor to Liberia, is one of the major speakers at the conference, which is aimed at promoting the rights of women. President George Weah and Minister of Gender, Children and Social Protection, Willametta Saydee Tarr, have promised to investigate the scandal at the school urging the public to keep calm. He said citizens must await the findings before drawing any conclusions. President Weah said there is much that the Liberian government has already done to address this troubling pestilence in our society. At the same time LFF calls on GOL to revoke the operating accreditation of MTM Academy and their management of schools under the Government of Liberia-Ministry of Education’s Liberia Education Advancement Program (LEAP). LFF recommended that GOL reassign all 19 public schools under the management of More Than Me (MTM) Academy within the LEAP program. Facia Harris, member of the technical working group of LFF, called on GOL should appoint a Trustee to take over the affairs of MTM. To set up an independent investigation to review the activities of MTM in Liberia beginning from its after school program in 2011 to present. In order to determine the full scope and magnitude of the organization’s activities in regards to the safety, security and welfare of these girls under their care. To demand that MTM makes available key documentation to ascertain what actions were taken by the Board if any, to curb further exposure of these girls to danger. The documentation should include but not limited to: The two reports by senior staff cited in the publication; that is the MTM Risk Management Policy. And the video of the interview of McIntosh Johnson conducted by MTM’s Founder Katie Meyler and MTM’s cameraman Holden Warren. LFF said MTM must institute psychosocial counselling for all the students under its After School Program to the establishment of its inaugural school up to present. The forum further stated that MTM should also institute an Oversight Committee to ensure the roll-out and the implementation of the Sexual Exploitation and Abuse Policy (Sexual Exploitation Abuse) for NGOs, INGOs and all public and private education institutions. Currently a campaign for justice has reached 5,205 out 7,500 signatures demanding justice for MTM girls. Ex-speaker of Children Parliament Satta Sheriff recommended that every penny of donor funds be given to victims. “Their stories, photographs and testimony built the Academy. They are the true founders of the institution. We also call for an independent team with professional child protection knowledge to be set up by the Government to run the More Than Me Academy for the entire Investigation period. According to Sheriff, the school has lost its institutional vision because of its reluctance in bringing justice to the victims who were raped by the late perpetrator Macintosh Johnson and the cover-up by Katie Meyler and team. 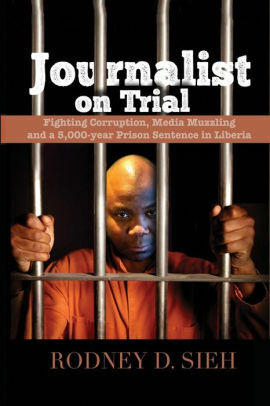 Meanwhile, Liberian musician, Kortie Bazzie, alias Kobazzie also called for the license of MTM to be revoked for covering up the scandal to save the institution imagine. Something he said because Katie’s organization built its foundation and fundraising appeal on the condition of these girls. “This is total wickedness and unacceptable. Kobazzie, however, recommended that government should set a precedence to ensure that charity schools do not become playgrounds for predators and do not reward those who enable predators.